Now available in three sizes to more closely accommodate to rider size and style. This symmetric versatile board offers medium camber, radial concave an beautiful flex soft to medium pattern. 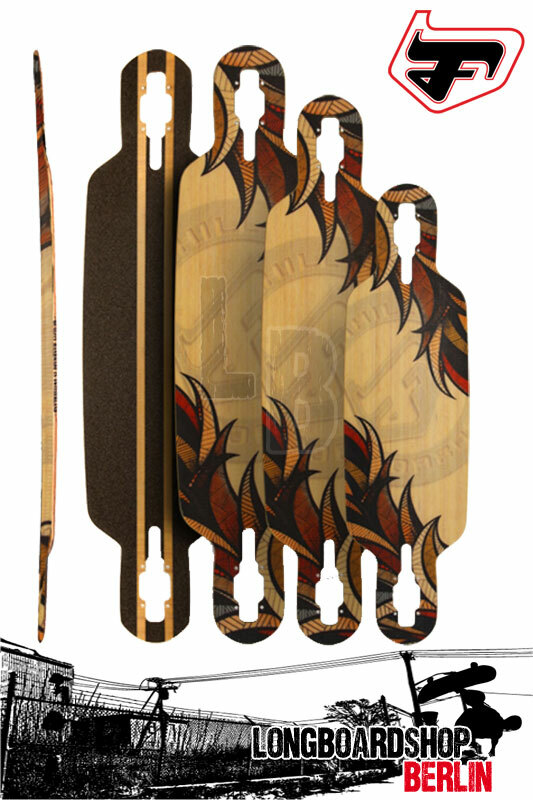 An all around lightweight board for cruisin, downhill carving and moderate free-rode. The drop through truck mounting makes the board easy to push, stable at speed an smooth for for sliding.